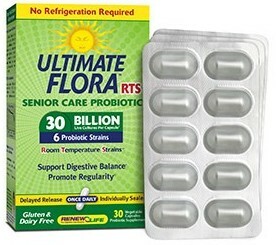 Renew Life Ultimate Flora RTS Senior Care is a probiotic supplement containing only Bifidobacterium species. It is marketed for digestive balance and for promotion of regularity and colon support which may be beneficial for all ages, not just seniors. This formula is one of several different formulations of room-temperature stable probiotic supplements by Renew Life. You can learn about the others here. What Probiotics are in Renew Life Ultimate Flora RTS Senior Care Probiotic Supplement? What are the Other Ingredients in Renew Life Ultimate Flora RTS Senior Care? What is the Recommended Dosage of This Probiotic Supplement? The recommended dosage is one capsule daily for 30 billion CFU of probiotics. What are the Pros of Renew Life Ultimate Flora RTS Senior Care? It contains 6 different Bifidobacterium strains. Although you don't know what strains are in the product, the fact that it is marketed for digestive balance and the promotion of regularity and colon health and contains bifido strains makes sense. Read about why on the Bifidobacterium page. This product has a total of 30 billion CFU from the 6 strains which is a good amount of Bifidobacterium. "Very effective results, but gentle." What are the Cons of Renew Life Ultimate Flora RTS Senior Care? 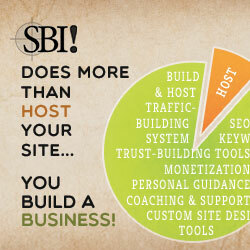 Where to Find Renew Life Ultimate Flora RTS Senior Care? It is NOT available at Amazon in Canada nor at Amazon UK at the time of this writing. Is Renew Life Ultimate Flora RTS Senior Care the Right Supplement for YOU? I can help you decide if this probiotic supplement is right for you and your health through nutrition consultations.